Spend the 17th (Fri) spotting exotic species with a safari tour. There's lots more to do: take in the dramatic scenery at Mosi-oa-Tunya / Victoria Falls National Park, kick your exploration up a notch at some of the top local zipline courses and adventure parks, get a dose of the wild on a nature and wildlife tour, and snap pictures at Victoria Falls Bridge. To find where to stay and more tourist information, refer to the Victoria Falls planner . Mandalay, Myanmar to Victoria Falls is an approximately 26-hour flight. The time zone difference moving from Myanmar Time to Central African Time is minus 4 hours. 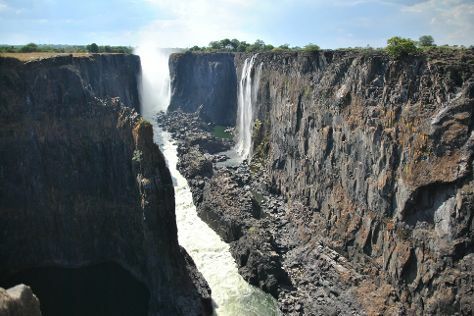 In May, daily temperatures in Victoria Falls can reach 32°C, while at night they dip to 13°C. Wrap up your sightseeing on the 18th (Sat) early enough to travel to Ngamiland East. 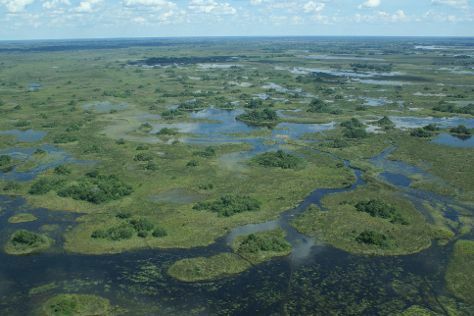 On the 19th (Sun), stroll through Okavango Delta. Get ready for a full day of sightseeing on the 20th (Mon): tour the pleasant surroundings at Moremi Wildlife Reserve. To find where to stay, photos, more things to do, and more tourist information, use the Ngamiland East online holiday planner . You can do a combination of car and flight from Victoria Falls to Ngamiland East in 3.5 hours. Alternatively, you can do a combination of train and bus; or do a combination of car and bus. In May, daily temperatures in Ngamiland East can reach 33°C, while at night they dip to 14°C. Wrap up your sightseeing on the 20th (Mon) early enough to travel to Johannesburg. Spend the 22nd (Wed) spotting exotic species with a safari tour. And it doesn't end there: examine the collection at Apartheid Museum, try your luck at Montecasino, take in the spiritual surroundings of Melrose Temple, and laugh and play at Gold Reef City. For ratings, photos, more things to do, and tourist information, you can read our Johannesburg trip itinerary planning app . You can fly from Ngamiland East to Johannesburg in 5.5 hours. Other options are to take a bus; or do a combination of bus and train. Plan for slightly colder temperatures traveling from Ngamiland East in May, with highs in Johannesburg at 26°C and lows at 9°C. Finish up your sightseeing early on the 24th (Fri) so you can travel back home.